Directed by Claire Marie Vogel. Single out now on Warner Bros. 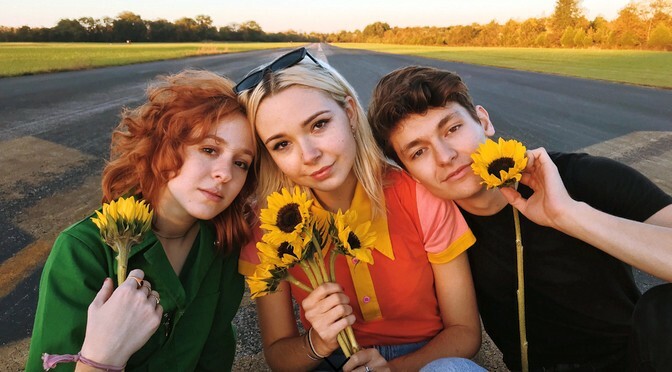 So this is the first Regrettes video without bassist Sage Chavis since she left the band in September. It features their new drummer but was apparently filmed before they found a new bass player. Chavis’ vocals are clearly audible on the recording though. She confirmed this on twitter and added, “We recorded some songs a long while back.” So who knows how many more songs are out there? But it’s always a little nerve wracking when a band you love shakes up its lineup. You have to wonder what’s going on behind the scenes.